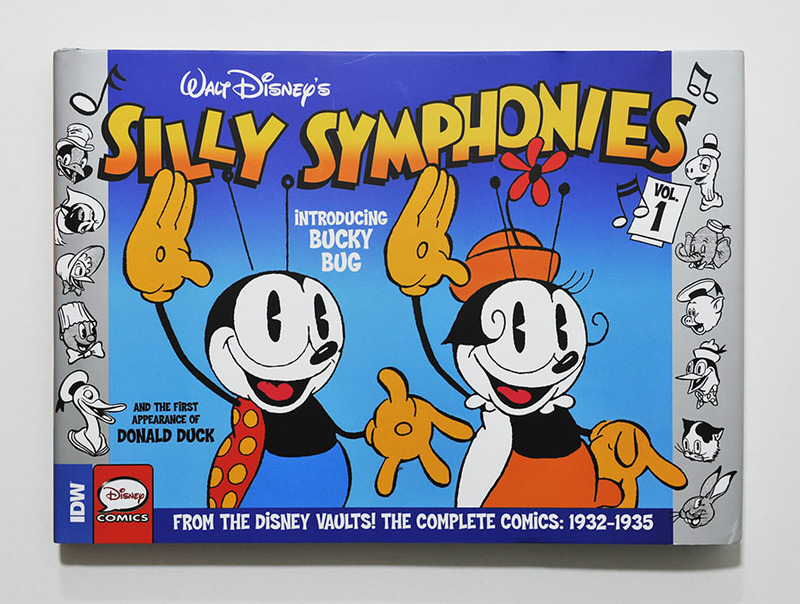 It’s more than two months since IDW published the first volume of their collection of Silly Symphony Sunday comics. But now I have finally found the time to start reading it! The first volume collects all Sunday pages chronologically from the start in 1932 to the summer of 1935 (and the end of the Cookieland serial). 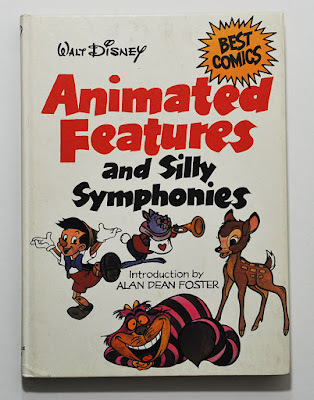 We also get a great introduction article by Disney historian J.B. Kaufmand author of "Silly Symphonies: A Companion to the Classic Cartoon Series". I’ve been trying to get a copy of that book for years, but every time I see one for sale the seller wants a ridiculous amount of money for it. So I’m glad a revised edition is finally being published this autumn, the book is already pre-ordered! 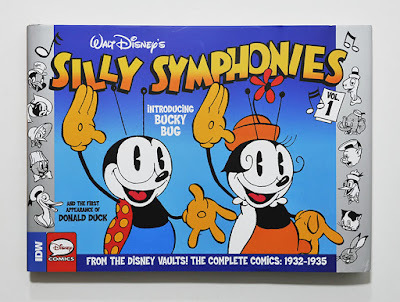 I’ve also been wanting a collection of the Silly Symphony Sunday comics for a long time, so I was really looking forward to this collection from IDW. And the first book does not disappoint! The reproduction quality and coloring are great. 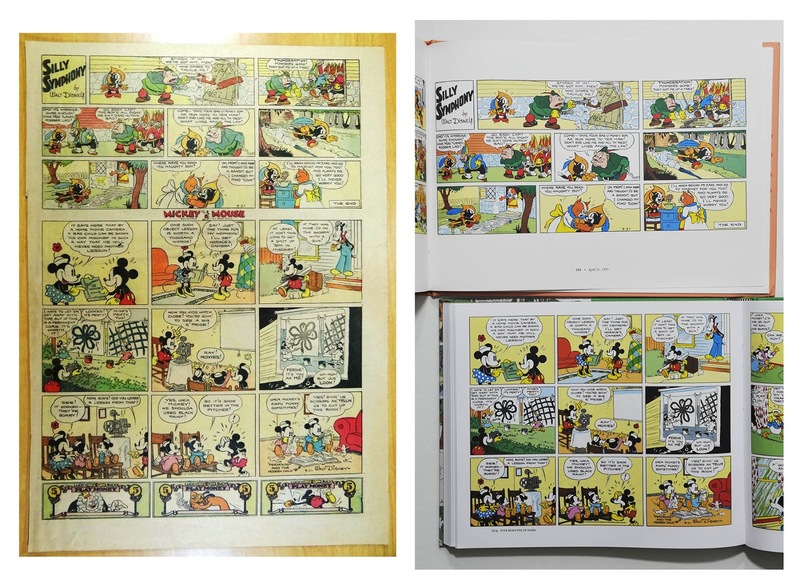 As with the Donald Duck Sunday collection the original coloring is used as a guide and there can be some weird looking colors now and then. But I don’t mind that, I think it’s interesting to see how the original coloring was. Before this book, "Animated Features and Silly Symphonies" published by Abbeville Press in 1980 was the closest we had to a non-translated collection of Silly Symphony Sunday pages. Comparing the two books it’s easy to see the difference in reproduction quality. 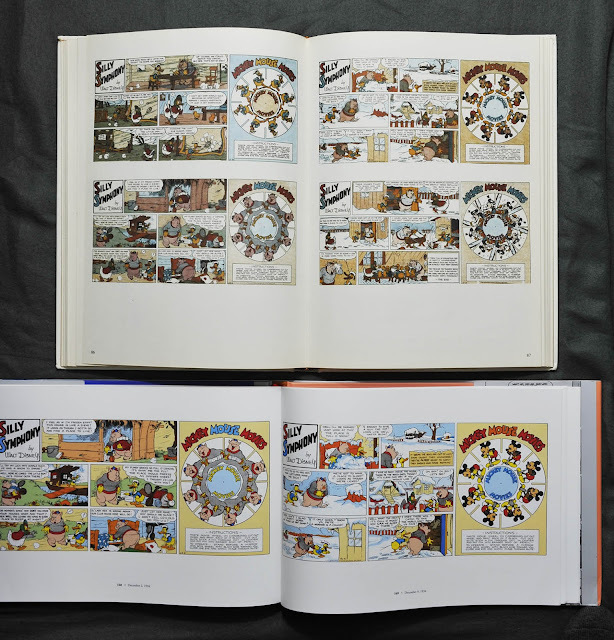 Especially the coloring in the Abbeville book was too dark and grainy. The size of IDW's book is the same as their Donald Duck Sunday collection, a little bit wider than the daily strip books. But they all look great together on the shelf. I’m glad this book collects the pages in their original format (that varies throughout the book) including the Lucky Bucks and Mickey Mouse Movies that are not part of the comic stories but were meant to be cut out. But unfortunately not all of the Lucky Bucks are included, just the ones that are replacing panels in the comic page. 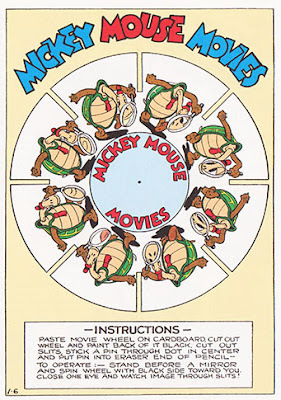 The usual Sunday package from Kings Features had the Silly Symphony and the Mickey Mouse Sundays together on one page. Some pages (I don’t know how many)* had extra Lucky Bucks included, as can be seen on the newspaper clipping below. To the right is the same page as it appears in IDW’s collection and Fantagraphics’ Floyd Gottfredson collection. None of the two books have the Lucky Bucks from April 21, 1935 included. I wish they could have been included as a bonus feature somewhere. 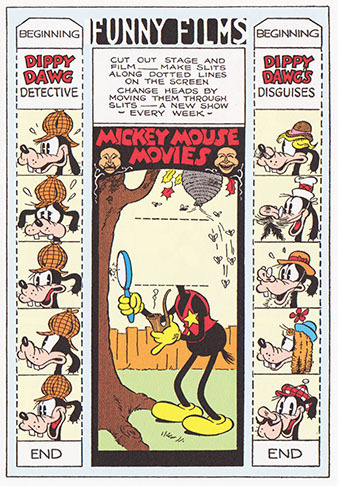 The mid-1930s Lucky Bucks—such as they are—were almost always the same three that you picture (Old King Cole; Mickey and Pluto with flypaper), reused from week to week again and again and again. They seem to have been some kind of extra offering made available by King Features to taller newspapers. They don't seem to have been part of Disney's master plan for the pages in their "true" conception. Thanks for this information. So not that many Lucky Bucks missing from the book then. Hex, please do advise IDW of your discovery. I'm pretty sure they will print them as specials in one of the future volumes if you let them know so. Mickey Mouse in Night of the Living Text!